What are your kids up to right now? Daily Nanny gives you a quick and easy way to find out. The Daily Nanny App lets you exchange messages, share photos, store information, and track daily activities in one convenient location so everyone is up to date. It even allows you to track hours and overtime. Information and communication is centralized like never before! The Daily Nanny App gives you all the vital data you need, along with the fun information you crave, about your children’s care and daily activities – all in one place! The Daily Nanny app gives you a comprehensive view of what your kids are up to while you are away. The Daily News Feed provides an overview of their activities, as well as all the data that was tracked, messages that were exchanged, and photos that were shared. 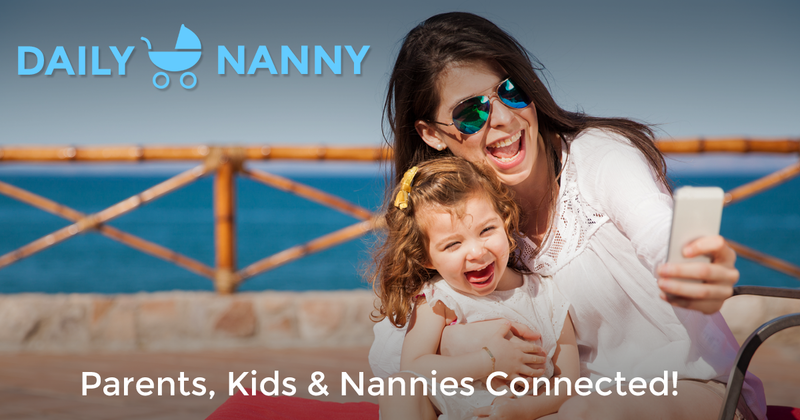 Getting photos in texts, emails, or your Facebook feed from your nanny is cumbersome. 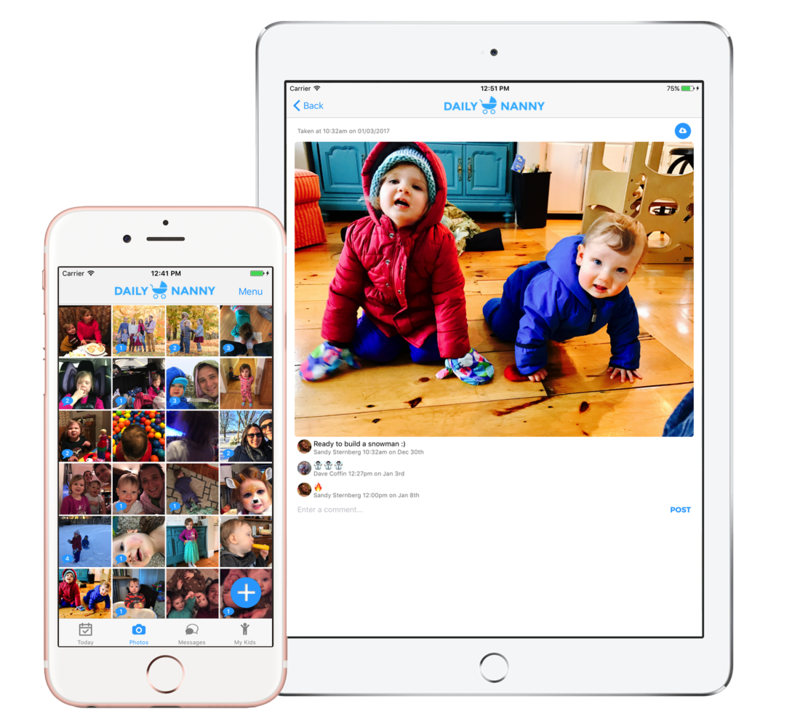 With the Daily Nanny app, photos are easily shared for everyone to see, and you can even comment on them. 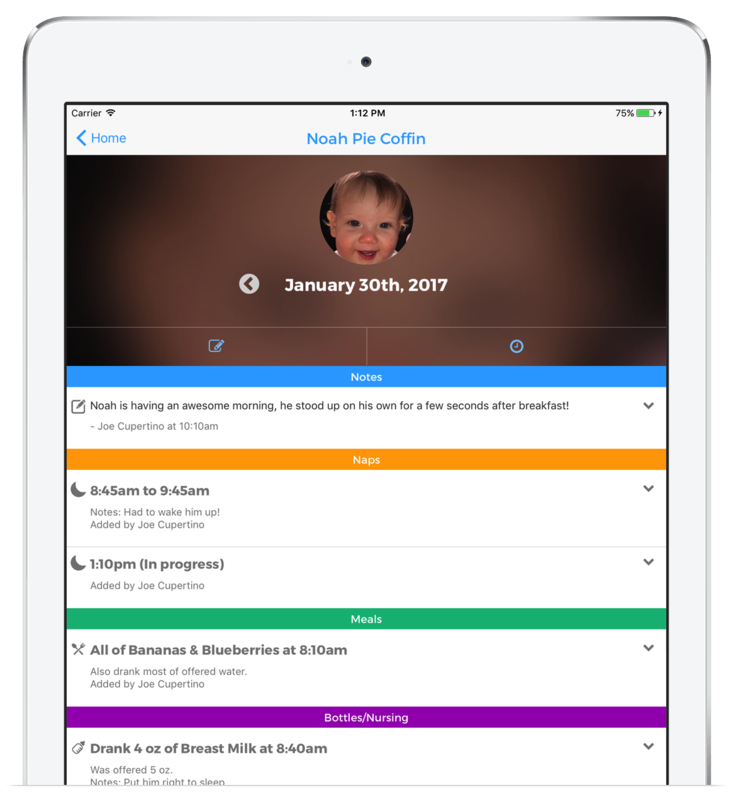 Use Daily Nanny to track milestones and have organized, searchable memories all in one place! 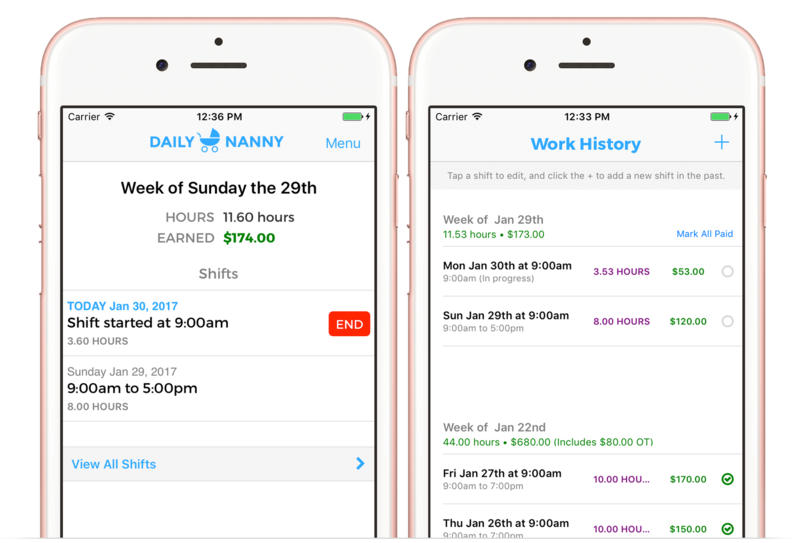 If you have been keeping track of hours in a spreadsheet, on a notepad, or worse, your memory, then the Daily Nanny app is for you! The Shifts feature lets you track hours, payment details, and overtime in one central location so everyone is current. Forgot to tell your nanny that your baby needs 50% more kisses today? Or you need to clarify important information such as medication dosages? 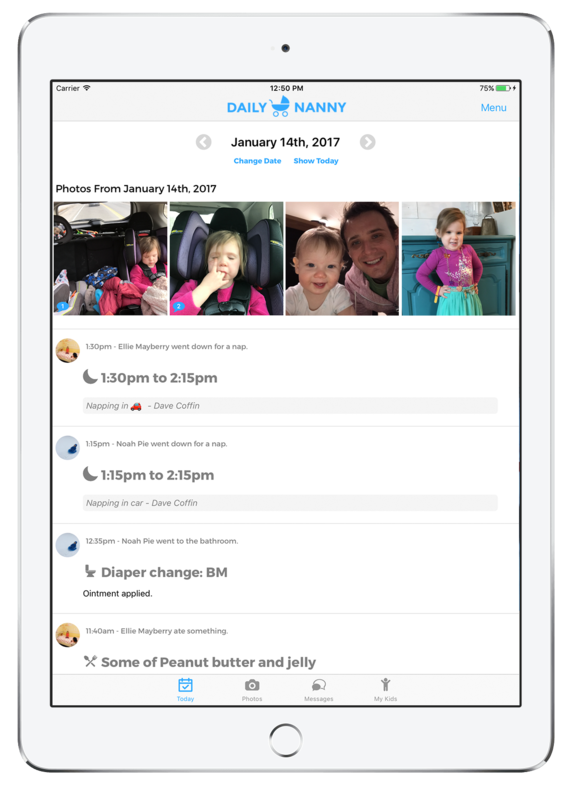 The Daily Nanny app provides easy messaging between parents, nannies, or any other caretaker, all within the account. Easily consolidate your communications about your children, and be assured no one is left out of the loop. 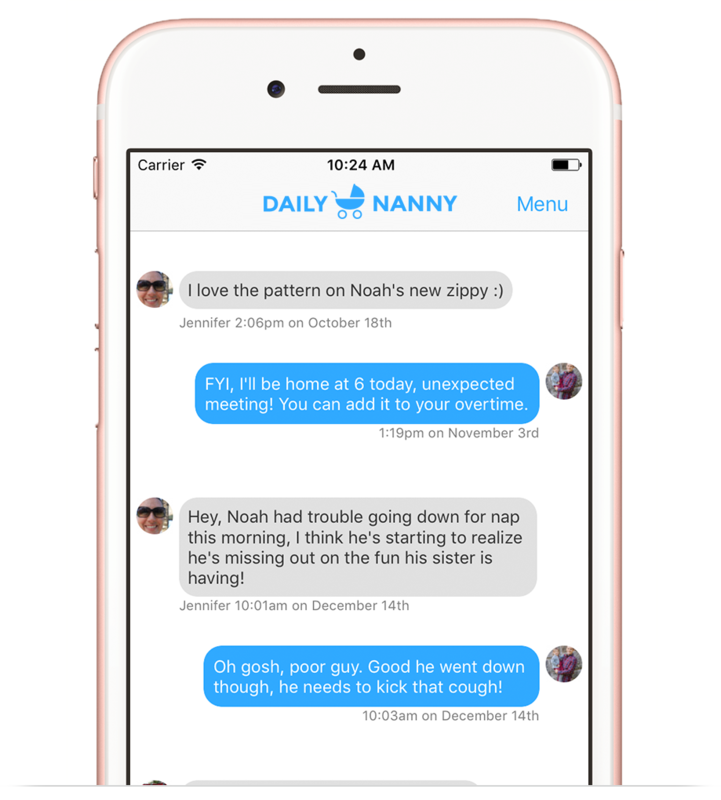 The Daily Nanny app makes it super easy for your nanny to track data like bottles, naps, meals, medicine and more. No need to wonder if your kids ate their vegetables or napped well enough to go to dinner, you get notified in real time so planning is easy.